Upside of Struggle is Kemo’s third solo album on Dead Silence Records, which demonstrates his evolution as an MC and producer. This 12-track incarnation bursts with musical styles and compelling arrangements. 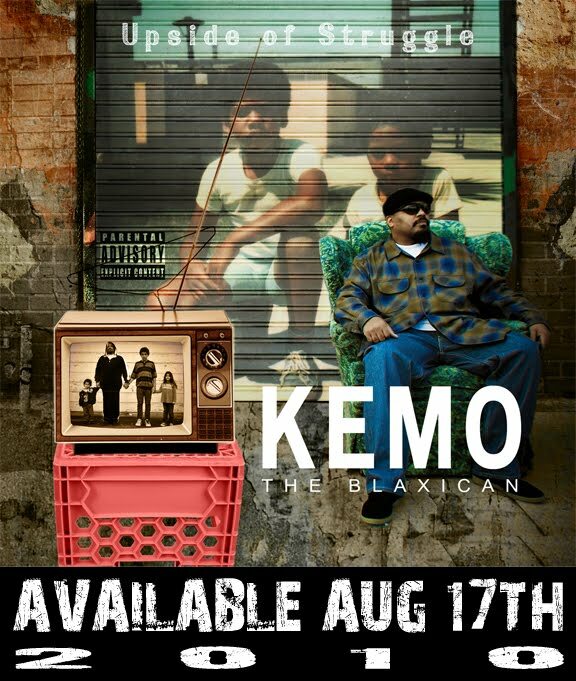 Kemo’s lyrical skills stretch back and forth between L.A. street slang and barrio Spanish, never hesitant to show both sides of his composite. He moves the listener through moods, harmoniously encapsulating contradiction, antagonism and the co-existence of good, even during bad times, all with mind bending ease. The title track, “Upside of Struggle,” tells a story of the artists’ challenges growing up biracial in the barrio and the struggles his mother made as a single parent. Kemo the Blaxican, with his soulful musical maelstrom, brings the listener contagious hooks, grooves and beats, without compromising his signature, raw style. From the opening bars of the title-track, “Upside of Struggle,” the listener knows he’s in for something special. Your head bobs and you’ll find yourself excited with each track; which is removed from the sterile debates and orthodoxies of the time. Upside of Struggle, with its technically interesting beats, intelligent lyrics and coalition of styles makes it a progressive album, bound for national appeal. 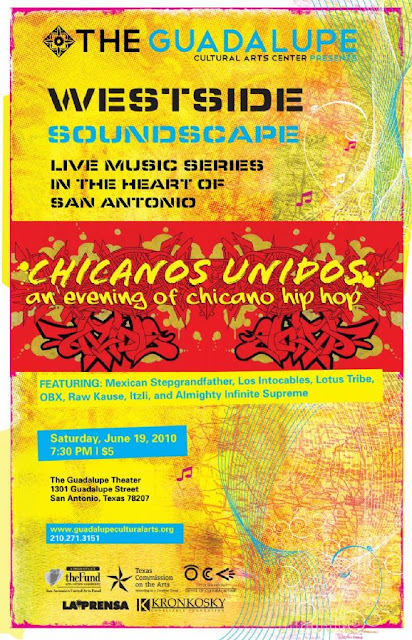 Vico C - "Viernes 13"
The Beatnuts - "Hit Me With That"
La Material - "El Sapito"
ZPU - "El Silencio De Dios"
Nach Scratch - "Vive Mientras Puedas"
Daddy Yankee - "Somos De Calle (Remix)"
If you're located in the South West you may want to check out this show taking place on June 19, 2010 in San Antonio, Texas. 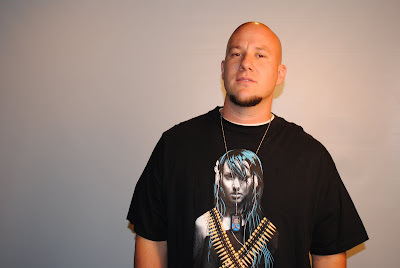 Exclusive Interview with "Johnny Storm of Society MC's"
I have heard talented artists in the past who have had great material recorded on not-so-great sound quality and it definitely takes away from the music. So when I became more serious about making music, I found a local studio from a friend who was reputable and began recording there. There’s nothing wrong with working with what you have, but if you have the means to find a studio and record, it makes a drastic difference. It doesn’t need to cost an arm and a leg, the studio I go to charges 25 bucks an hour…… As far as promoting, I am learning that you need to be creative. If you go to a show and pass out free demos to spread the word, you’ll notice that people don’t value a free CD and will most likely use it as a Frisbee. Now a days, much of the promoting is done via the net so you can utilize several sites to gain exposure, but it helps to also use alternative methods. Make shirts with a catchy logo, make stickers, go hang a 20ft banner in front of Hooters, whatever you gotta do. If you received $100,000 dollars tomorrow that you had to use on your music, how would you use it? If I got $100,000 dollars tomorrow I would use it on music anyway, and it just so happens I was pondering that scenario yesterday when I got my weekly lotto……I am also passionate about film and have been storyboarding our music video, a budget heavily restricts the creative process but I imagine a financial windfall like that would work just fine. My answer to this question would have been different had I been asked a few months ago, but I have also been shooting a documentary on music and one issue that was covered deals with the future of music. Apparently there has been a surge of creativity in Europe and it is leaning more toward dance music, even people I have known to be Hip Hop heads have been exposed to it and become more involved in that scene.. I think also the focus on merging visuals with music will become stronger. People want to be blown away and if you can properly balance the right amount of music with something they can watch while listening I think that will take live shows to another level. As far as content of music, it’s hard to gauge, every decade has had it’s theme, it just so happens this is the skinny jean decade. This year has been busy as far as projects we are starting and projects we are trying to finish. My partner-in-rhyme, U.N.I.verse and I have been working hard on this documentary, we started shooting a music video (minus the $100,000), we are trying to wrap up our debut album, and we are working on doing more performances. We have a myspace page @ myspace.com/1johnnystorm, also we are working on material that will be available on YouTube and other sites as well. Los Aldeanos - "Mensaje De Esperanza"
Cypress Hill - "Rap Superstar"
Cypress Hill - "Marijuana Locos"
Cosculluela - "Nau Nau Nau"
Don Dinero - "Block Royal Anthem"